The next upcoming Wright Brothers Day is on Tuesday December 17th, 2019. Wright Brothers Day is held on December 17th annually each year and celebrates the first successful flight of their mechanically propelled airplane made by Orville and Wilbur Wright on December 17, 1903 near Kitty Hawk, North Carolina. People will celebrate by visiting the Wright Brothers National Memorial on top of Kill Devil Hill, North Carolina. Kids in school are told about the Wright Brothers story of flight and aviation history. Many aviation museums offer information and details about the two brothers and their flight. 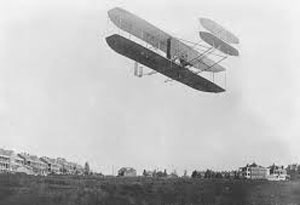 Orville and Wilbur Wright made the first controlled airplane flight which lasted 12 seconds and went about 120 feet on December 17, 1903. They are credited with being the first to have a fixed winged controlled flight that eventually paved the way for the aviation industry to make huge advancements in flight.